PORTLAND, OR (November 12, 2017) – Seventeen-year-old Jolie Brownell launched a website and published a book recently because she wanted to tear down stereotypes and help other teens accept themselves—apart from society’s standards. In junior high school Brownell was bullied about how she looked, and she says she began to internalize the messages she received. 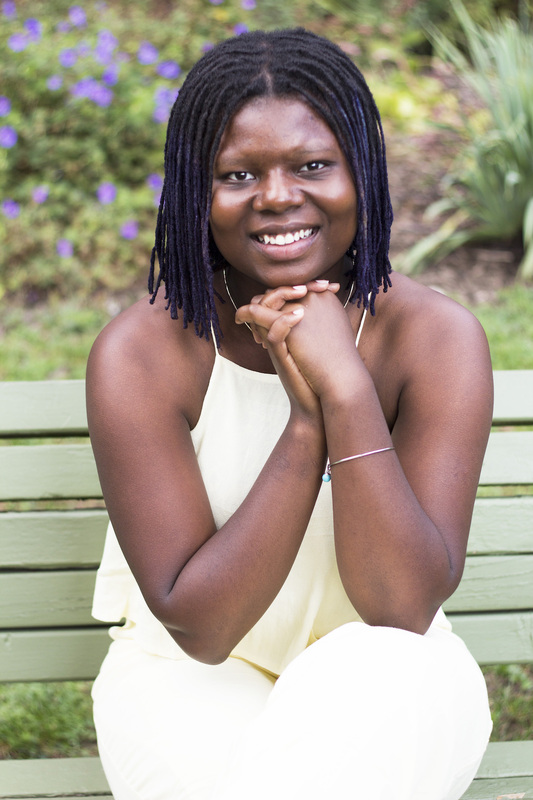 Reading books with positive self-affirmations helped her develop a new sense of self-worth. She went on to blog for I Am That Girl, an organization focused on helping girls transform self-doubt in to self-love by providing a safe space for honest conversations about things that matter. After high school Brownell took a gap year. “My mom said I wasn’t going to just lie around in bed for a year, and I had to commit to something,” Brownell says. She hit on the idea for the book and then developed the website to accompany it. The posts include titles such as “Profit Off My Insecurity,” “My Blackness Is Not Dirty,” and “If Their Beauty Had a Taste.” The website uses images by graphic artists Brownell admires and illustrations of women of all shapes and colors. Inspired by their work, Brownell recently started creating her own similar images. Brownell started the site before the recent scandals erupted around sexual harassment and assault. She was aware of the Me Too campaign, which was started by Tarana Burke in 1997 as a way of fighting sexual harassment. It exploded into a national phenomenon when actress Alyssa Milano turned it into a Twitter hashtag #metoo on October 15. 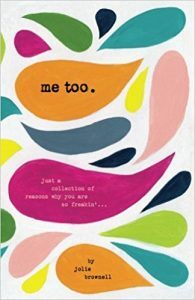 Brownell’s book, Me Too is available on CovBooks.com.